Dear Valued Customer, Excel Workbook will perform better with automatic calculations based on different situations with the use complex nested formulas and macros. The Workbook will look very clean, powerful and beautiful with use of charts, customized color, fills and lines. 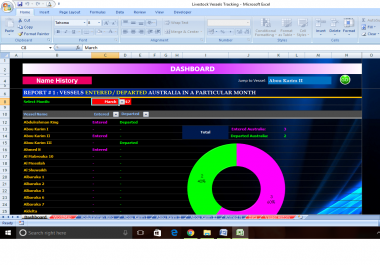 It will be visually enhanced to highlight and focus on the important information using conditional formatting. Security features will be added not to accidentally add or remove data. Moreover I will build a attractive, truly professional Workbook which will be a creation worth working and loving.